GoldSim is being used by engineers and planners at Central Arizona Project to simulate water management in an area experiencing rapid growth coupled with uncertainties about future water supply, demand and reliability. The Central Arizona Project Service Area Model (CAP:SAM) was developed by in-house staff using GoldSim software to simulate water demands for all major water using entities in the CAP three county Service Area, and the water supplies they use to meet their demands. The model can be used to simulate a wide range of future conditions including variable rates and patterns of growth, shortage impacts, effluent reuse, aquifer recharge and recovery, and complex supply portfolio management decisions on an annual time step. 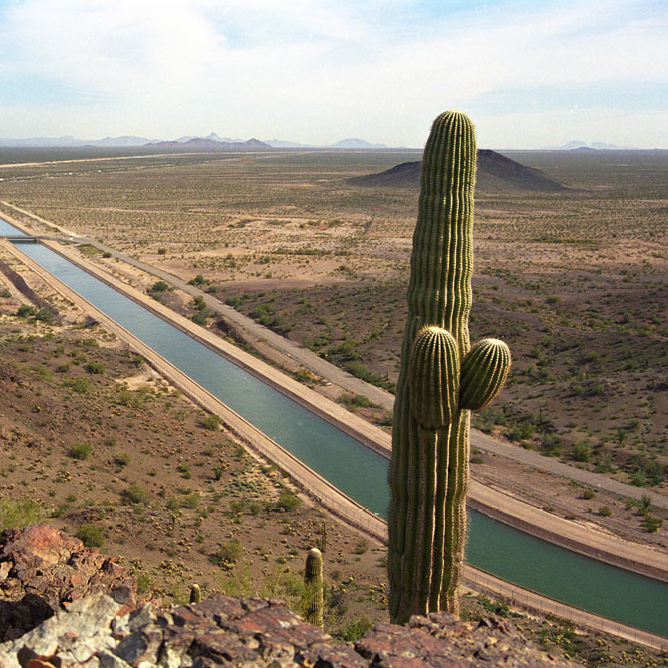 The Central Arizona Project (CAP) manages and delivers more than 1.5 million acre-feet of Colorado River water to the most arid and populated regions of Central and Southern Arizona. As shortages on the Colorado River grow more likely, there is an increasing need for greater clarity on the scale of water challenges and planning uncertainties faced by CAP and its customers. To help address these challenges in an affordable and sustainable manner, CAP has been engaged in a systematic and coordinated effort to expand its planning and analytical capacity through the development of a GoldSim model in conjunction with a Geodatabase. This model helps broaden understanding of supply and demand, explores impacts of big picture phenomena on water use, and examines potential solutions to future challenges.